Sadly, in June of 1997, one of the Tops, Lawrence Payton, died of liver cancer. The Four Tops had 44 years together and then there were three. Originally, the three decided to go on and sing and to continue doing what they had started to do years ago - to bring joy to millions through their music. Then along came Theo Peoples (former member of The Temptations) who fit in perfectly, so once again there are Four Tops, still true to the soul, memory and performance of Payton. The Four Tops have been marveling audiences with their unique blend of pure vocal power and unparalleled harmonies since 1954. They have brought to the American people and the world a sound so singular that it is woven into the fabric of American pop music. Hits like "Baby, I Need Your Lovin'," "I Can't Help Myself (Sugar Pie Honey Bunch)" and "Reach Out, I'll Be There" topped the charts and became anthems of a generation. The Tops were a sensation abroad as well. At a time when the U.S. charts were dominated by the Beatles and the Rolling Stones, The Tops sat like kings at number one in England. Later came more hits like "Ain't No Woman (Like the One I Got)," "Keeper of The Castle," "Are You Man Enough" and "Am I My Brothers' Keeper?" The Tops were stunning audiences with their live performances, sweating their soul on stage proving that their blend of emotional stage persona and unforgettable songs had launched them to the pinnacle of the entertainment world. 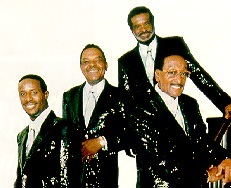 In the early 1980's, The Four Tops recorded two albums, showcasing such monster hits as "When She Was My Girl," "Tonight I'm Gonna Love You All Over" and "I Believe In You and Me." Later, they recorded "Indestructible" which garnered rave reviews. In 1990, The Tops were inducted into the Rock 'n Roll Hall of Fame, and in 1997 were honored with a star on Hollywood Boulevard, adding to their growing list of awards and accolades. Generations can close their eyes and hear a Four Tops tune and it catapults them to a memory. This group has the distinct pleasure of marking a part of American culture with their music. This is just one of the reasons they are in demand by national advertisers such as Velveeta Cheese, Northwest Airlines, Budweiser, Lincoln-Mercury, Oldsmobile and Old Navy. Today, The Four Tops are going strong, performing to standing room only crowds all over the world, delighting old and new fans alike. Currently, they perform approximately 80 corporate shows per year as well as 180 concerts, some with full symphony orchestras.